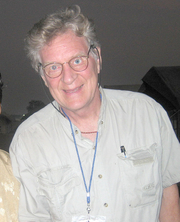 Robert A. F. Thurman has 1 media appearance. Robert Thurman , Why the Dalai Lama Matters: His Act of Truth as the Solution for China, Tibet, and the World. Robert Thurman reads from Why the Dalai Lama Matters . Event location: Bagdad Theater, 3702 SE Hawthorne Blvd. Robert A. F. Thurman is currently considered a "single author." If one or more works are by a distinct, homonymous authors, go ahead and split the author. Robert A. F. Thurman is composed of 14 names. You can examine and separate out names.